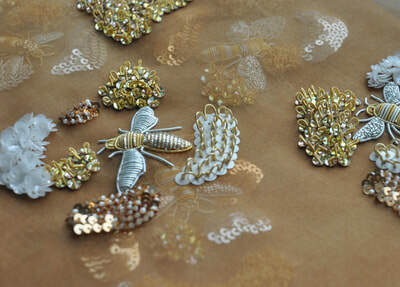 An experiment in using goldwork to create fully three-dimensional flowers. 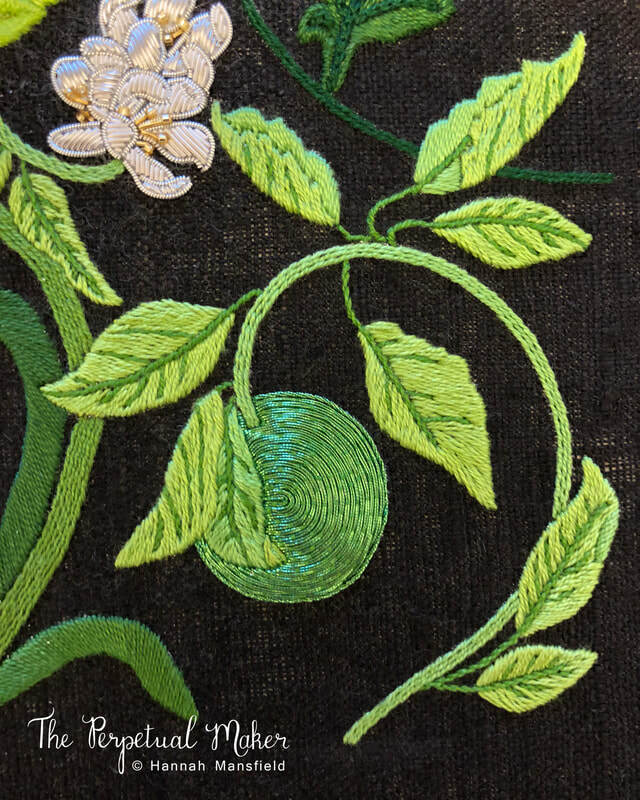 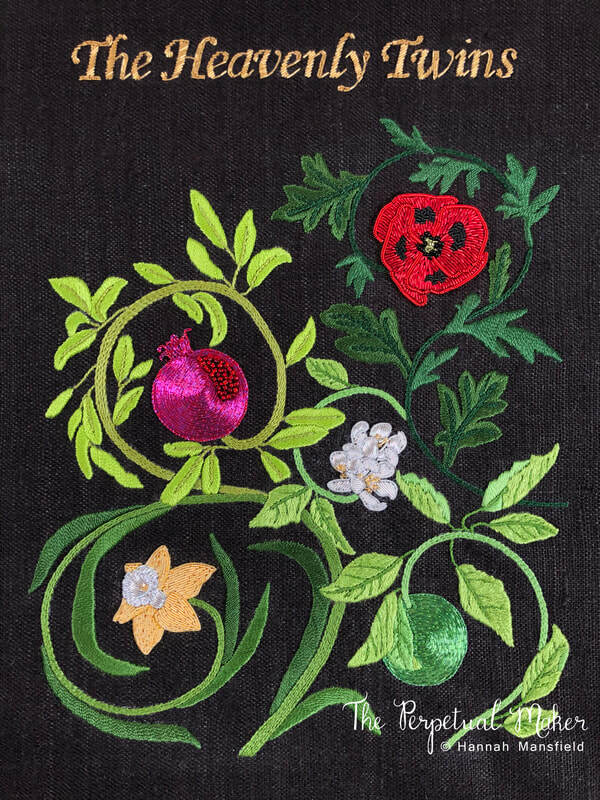 Influenced by Dutch floral still life paintings, Hannah set out to create her own floral still life using goldwork embroidery. 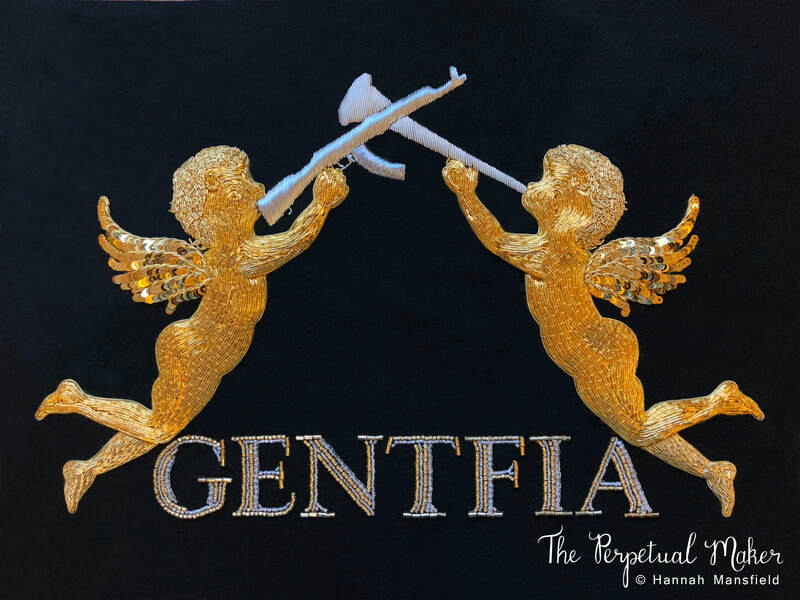 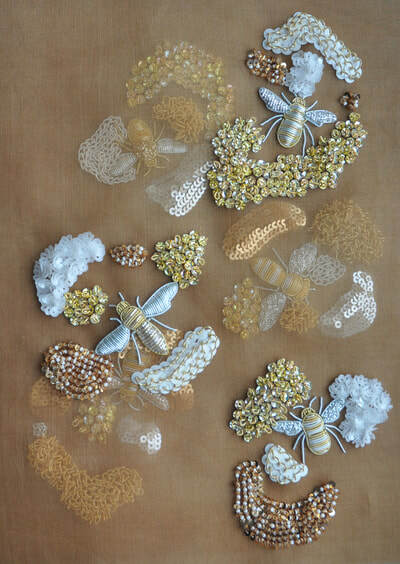 Hannah documented the process of making the flowers in photographs and videos which she shared on her Instagram page as the project developed. 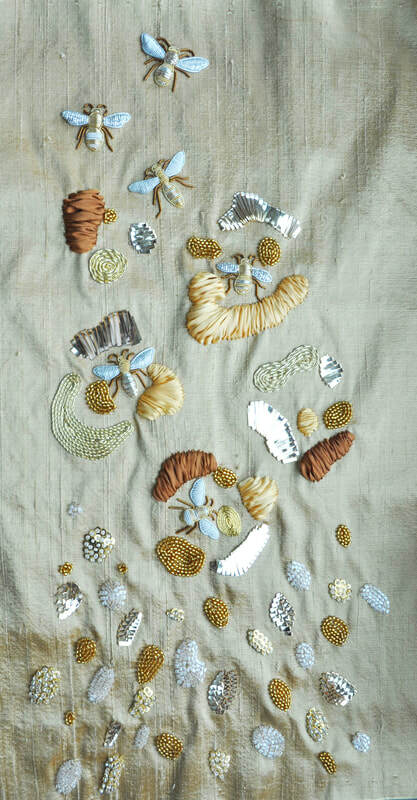 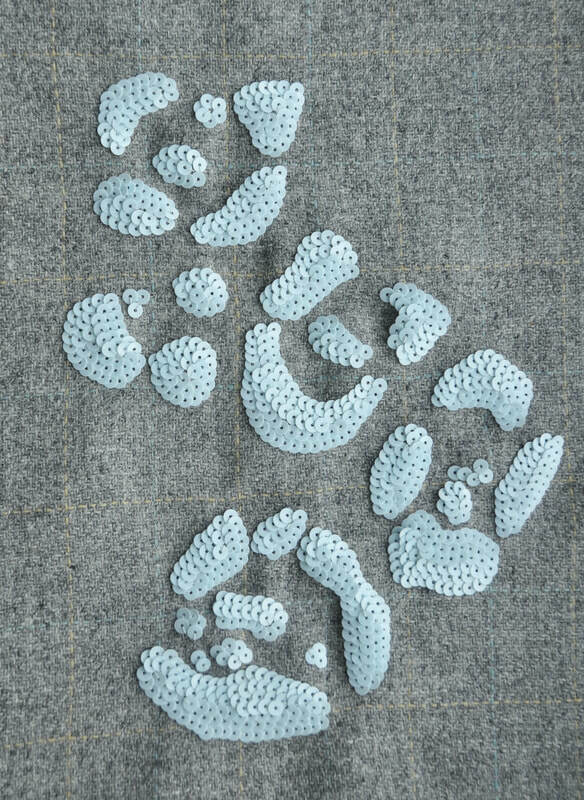 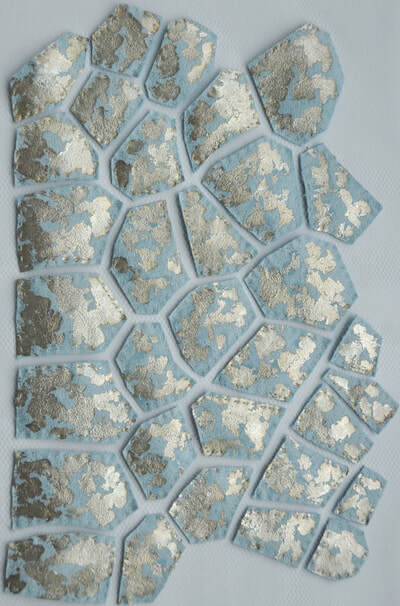 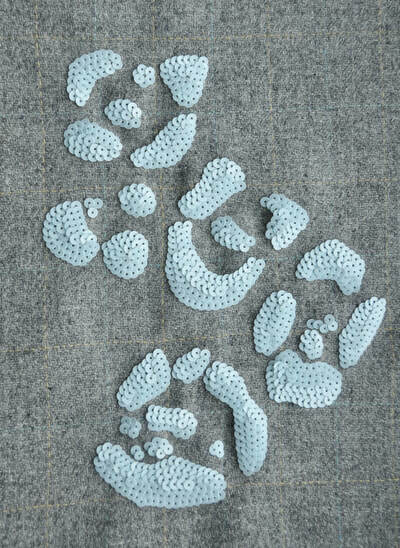 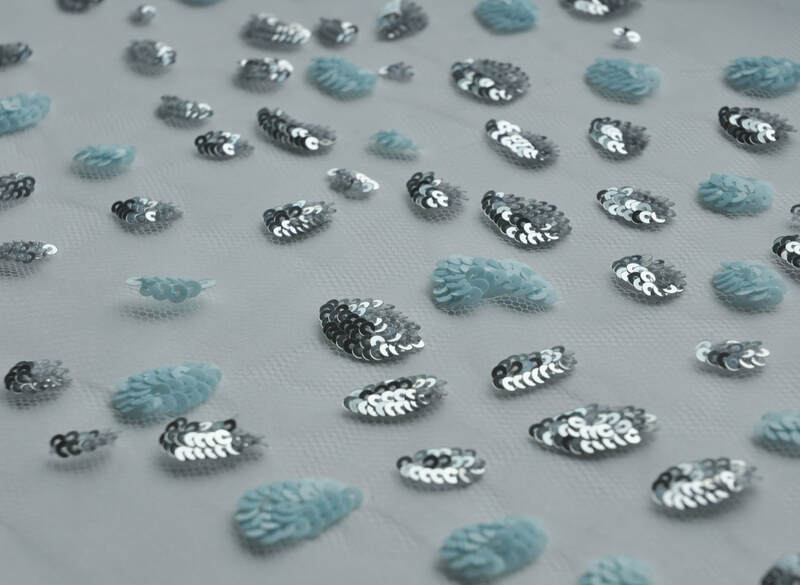 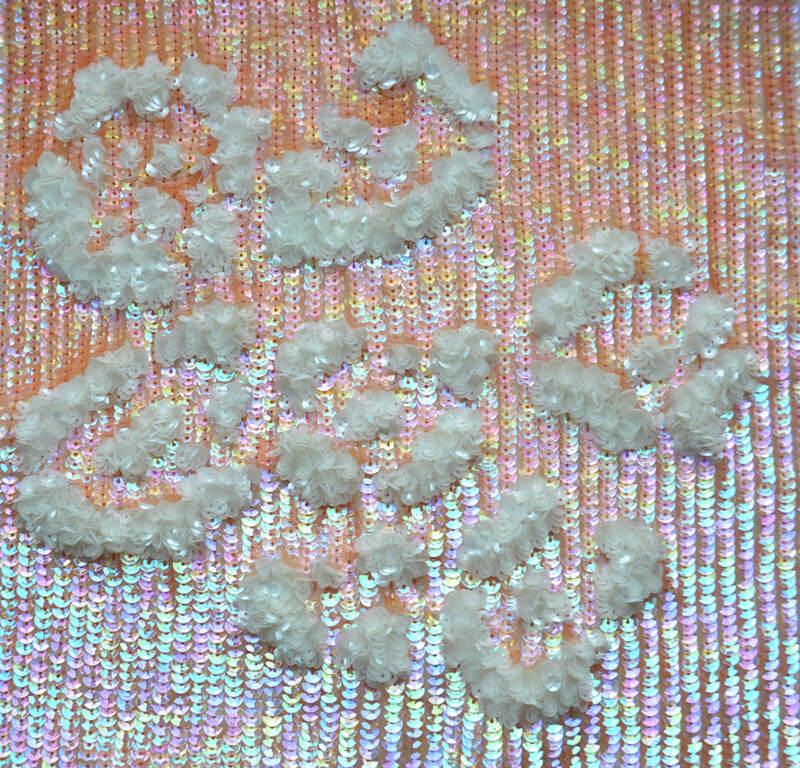 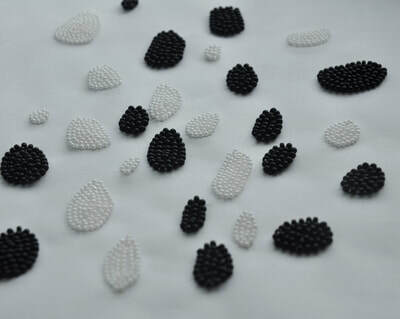 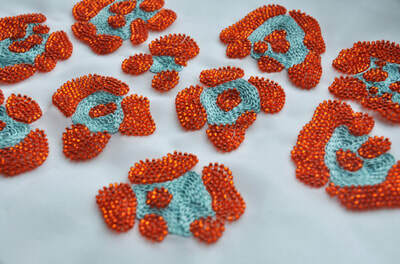 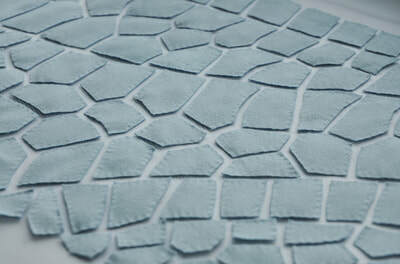 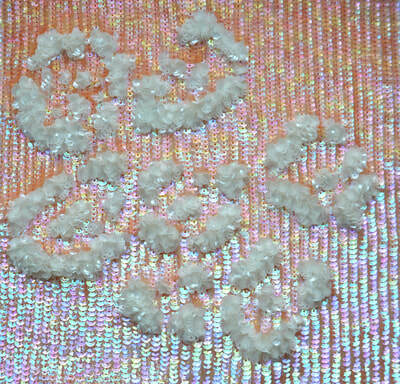 These photos are shown below, from the project's start as a flat embroidery of individual petals. To the end result; highly detailed 3D goldwork flowers made entirely in shades of gold and silver, enclosed in a bell jar like a precious botanical display. 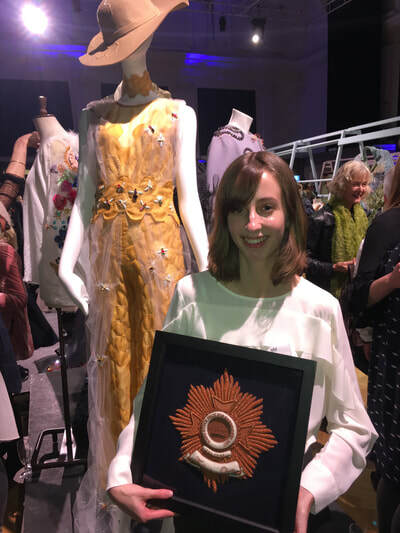 The Hand & Lock Prize brief for 2017 was titled 'Celebration'. Hannah was selected as a finalist in July and was awarded third prize in the fashion open category at the live judging event in November. 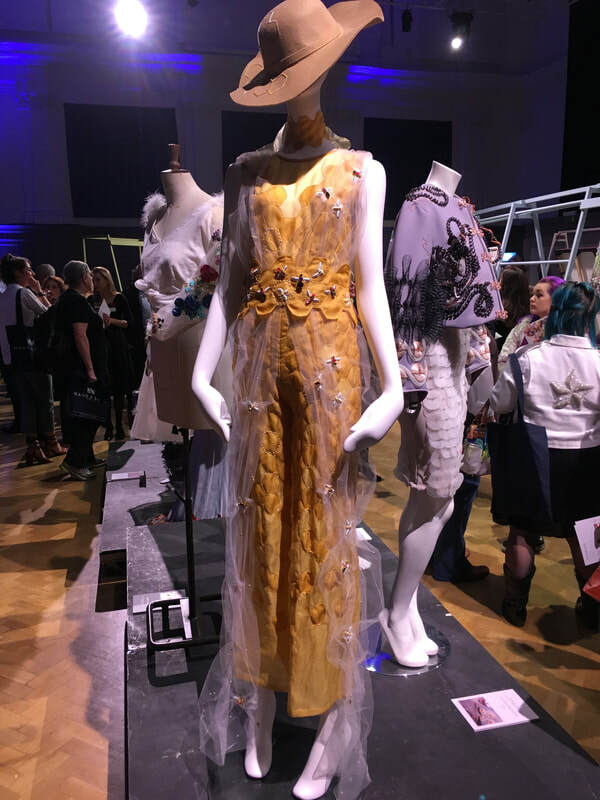 The below images show the final garment displayed at the live judging event alongside embroidery development samples. 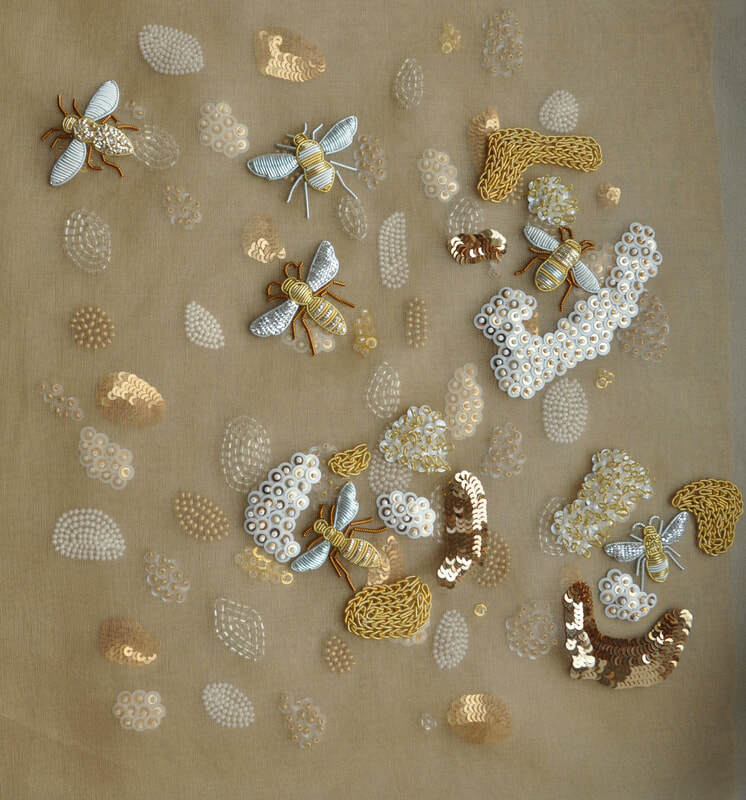 The project was based on a celebration of endangered and threatened animals and insects which eventually solely focused on bees. 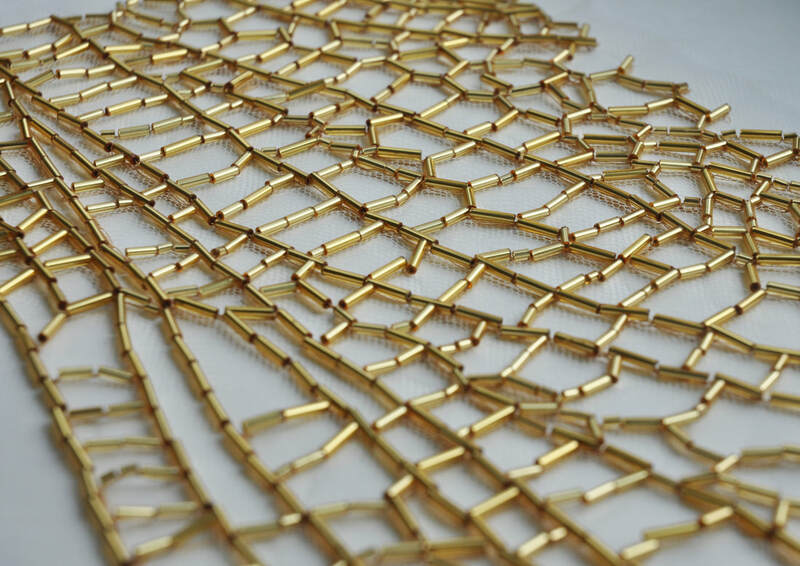 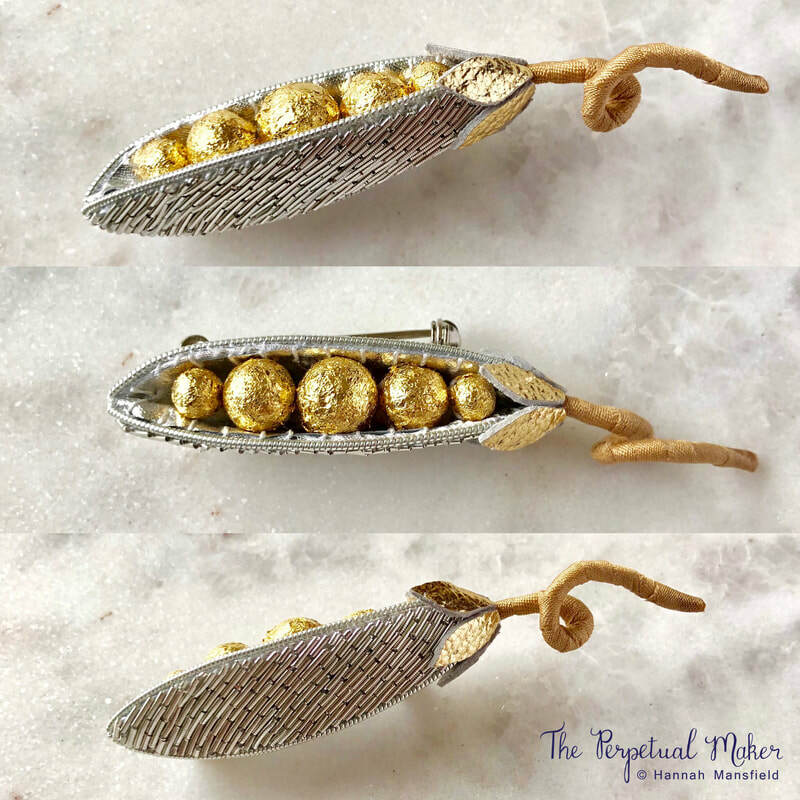 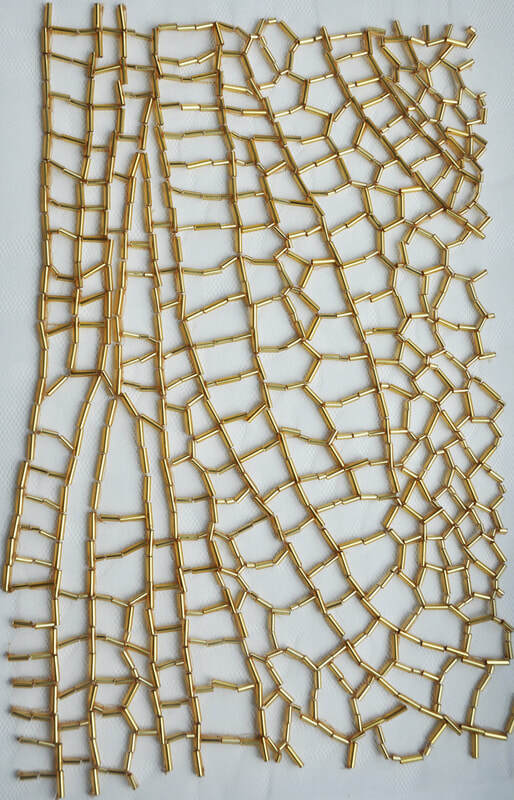 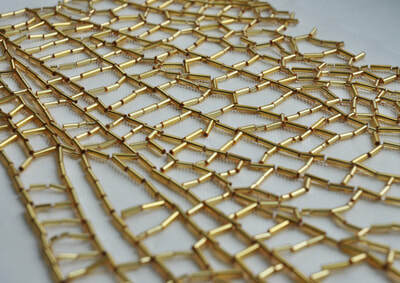 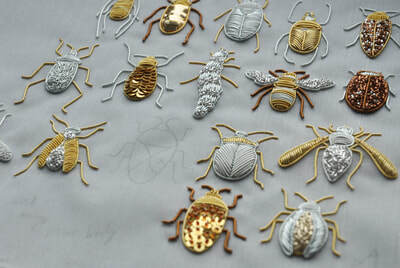 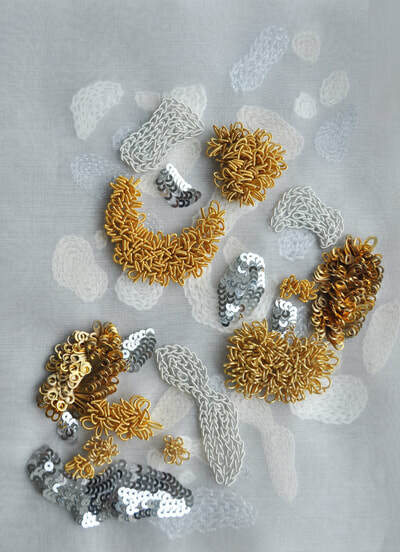 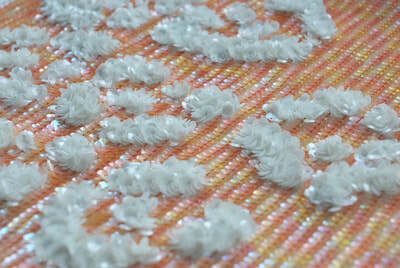 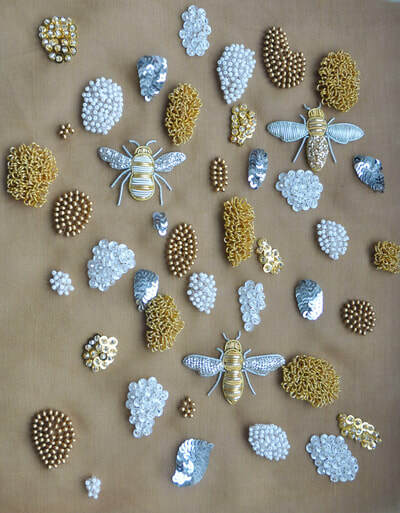 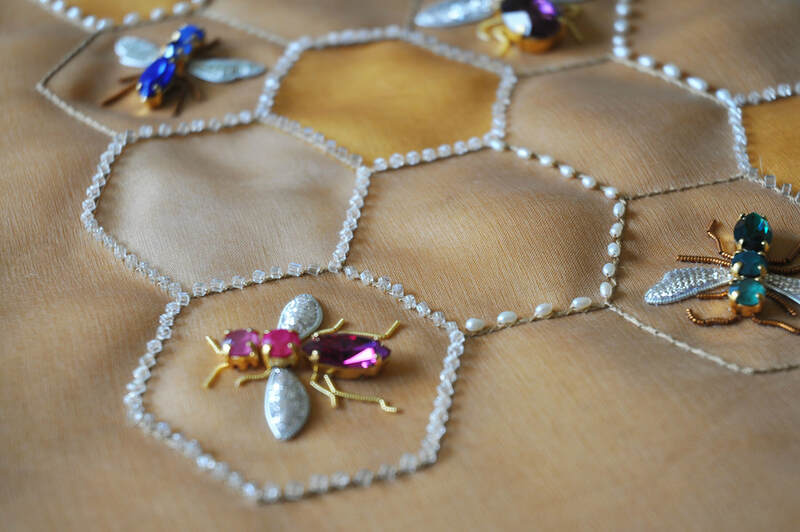 Within this project Hannah focused on her specialisms of tambour beading and goldwork. 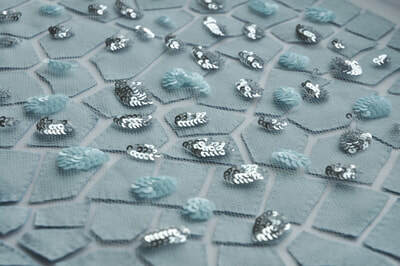 The final garment, a jumpsuit, is embroidered with tambour cutwork stitch in a honeycomb pattern which is highlighted with tambour beaded sections. 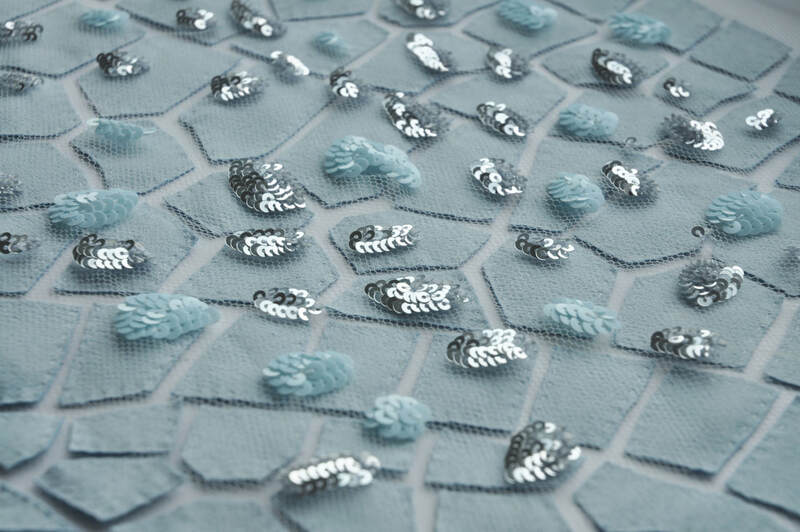 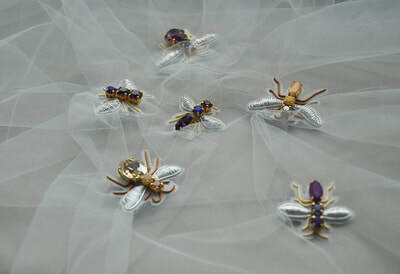 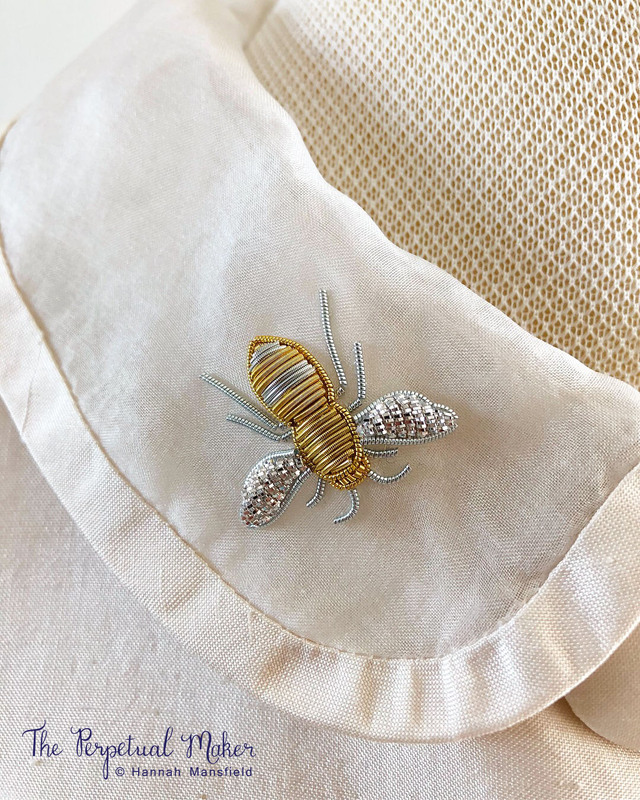 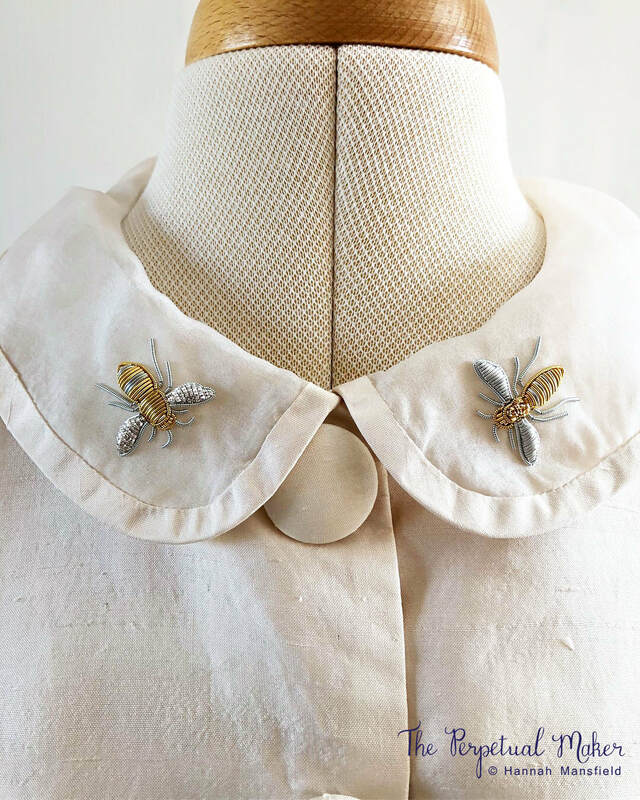 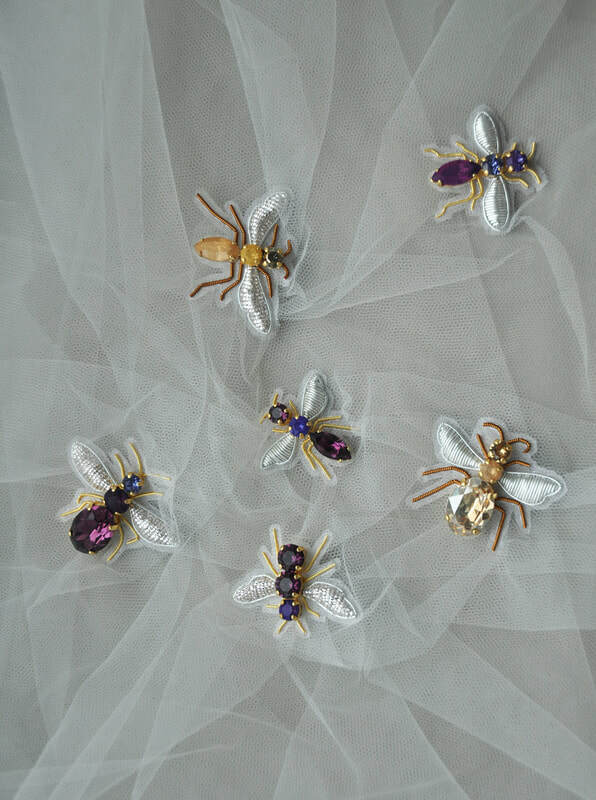 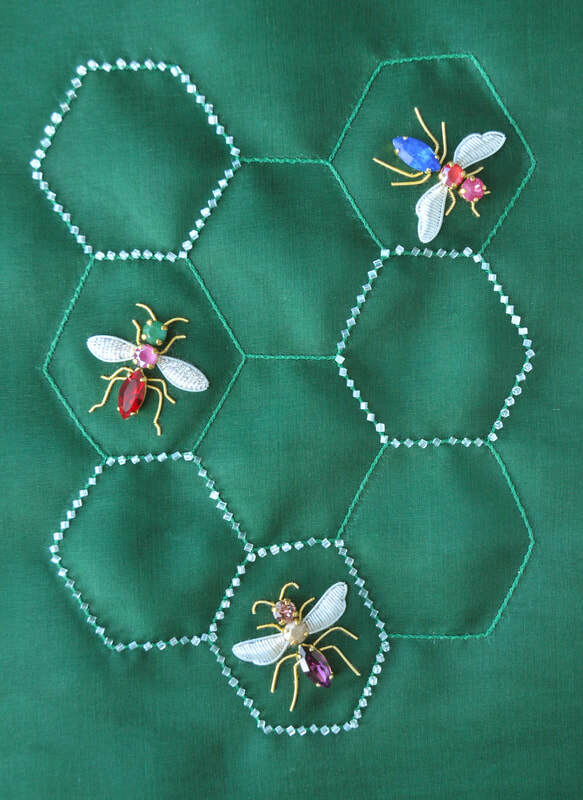 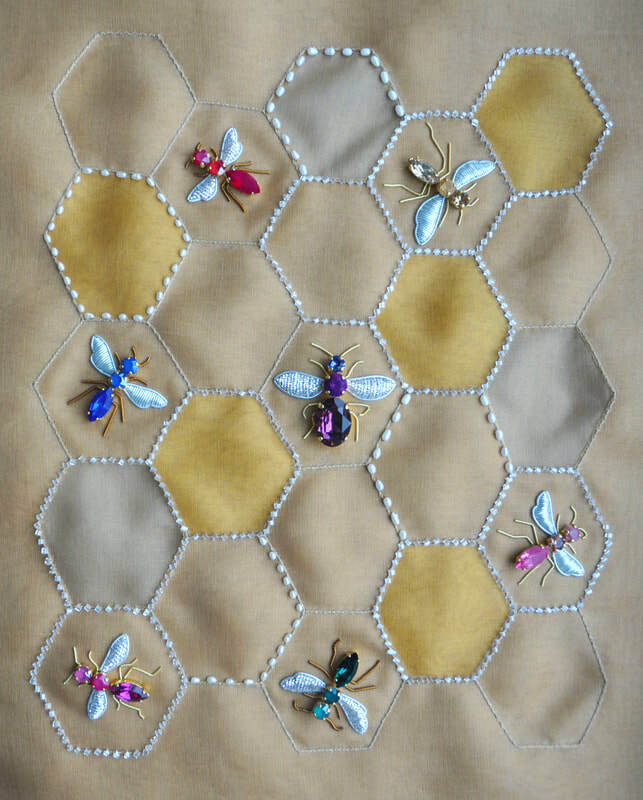 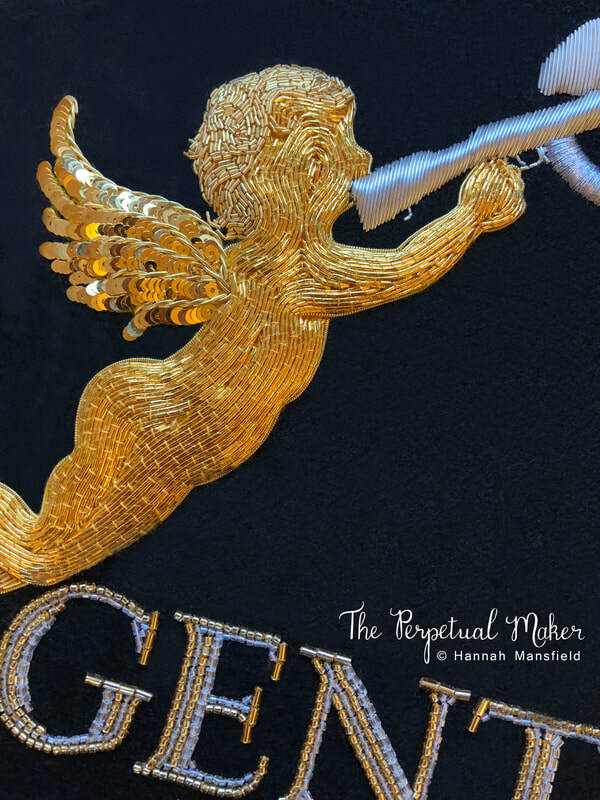 A swarm of bees embroidered using goldwork and Swarovski gemstones encircle the garment on a layer of tulle which represents a bee keepers veil. 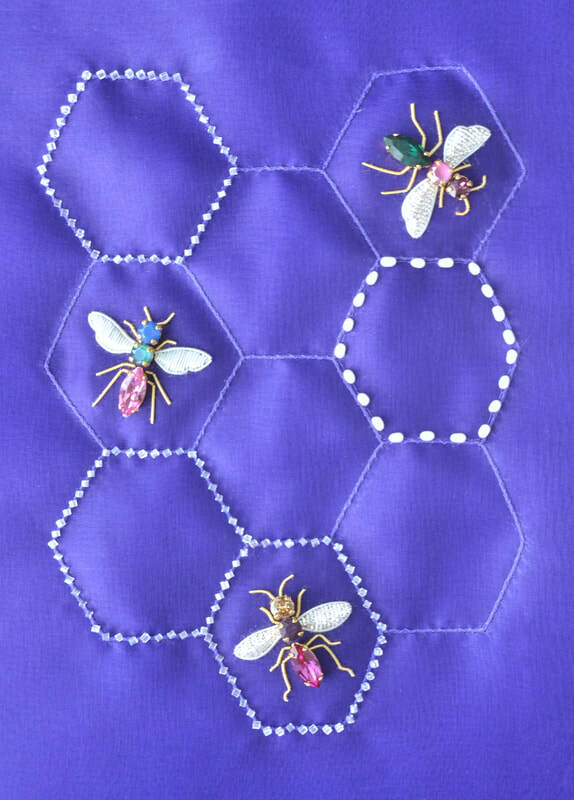 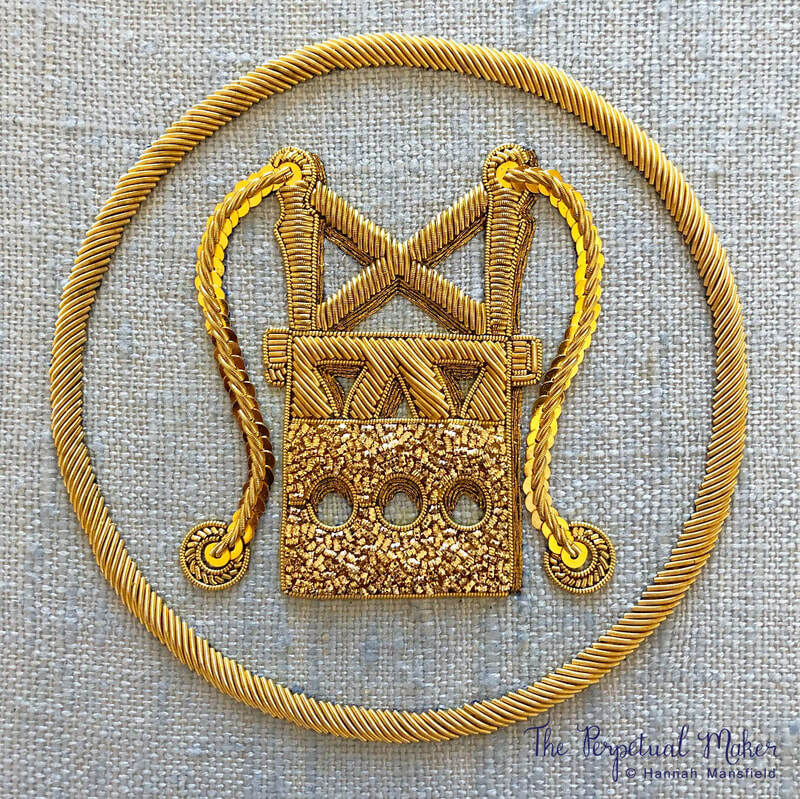 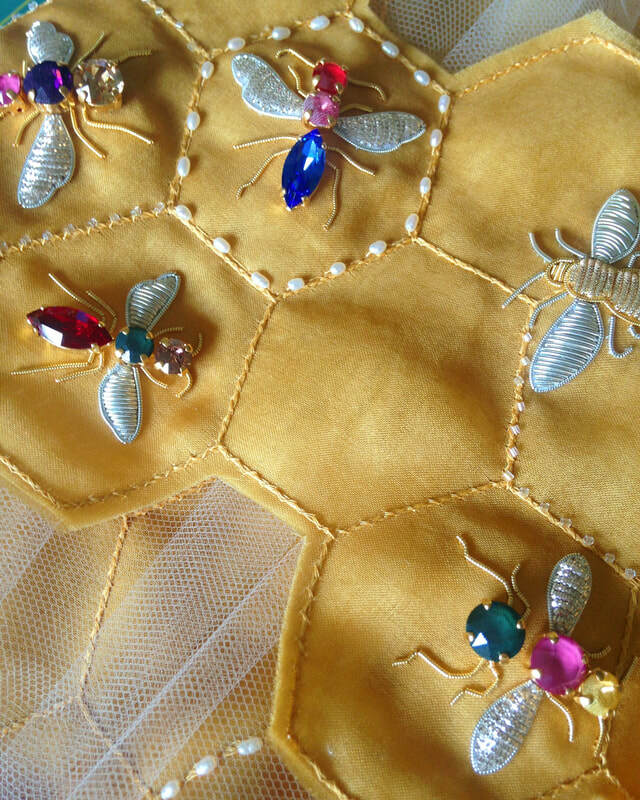 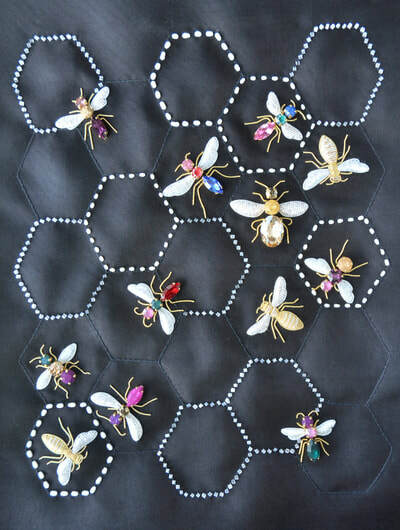 The honeycomb belt represents the hive where the queen bee, embroidered with purple gemstones, is surrounded by worker bees. 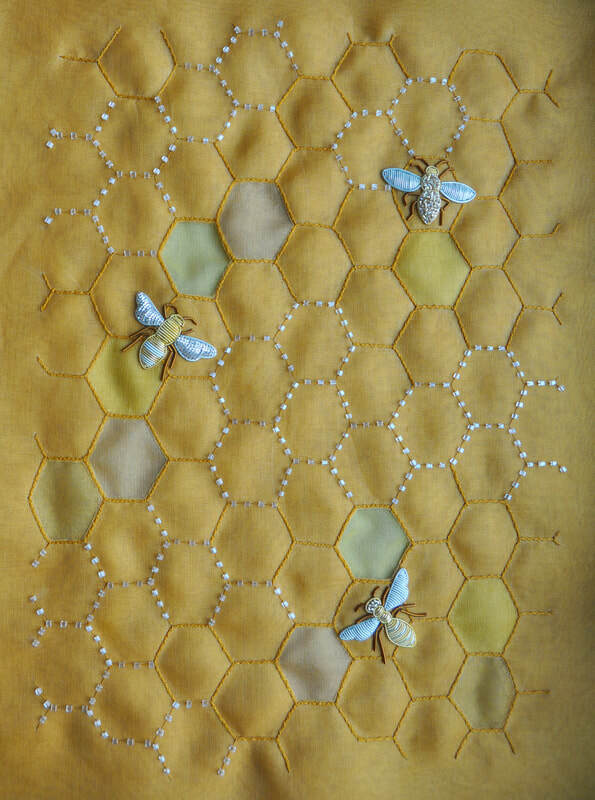 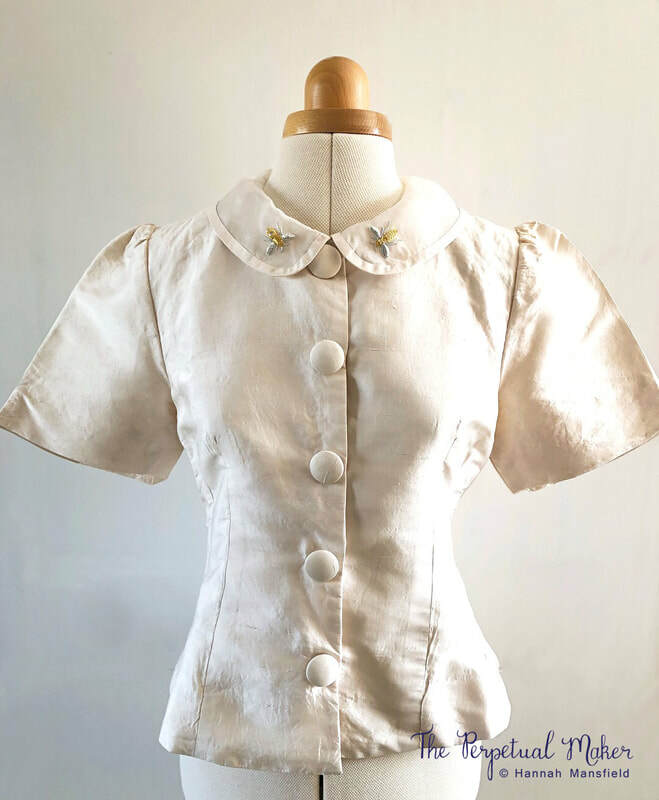 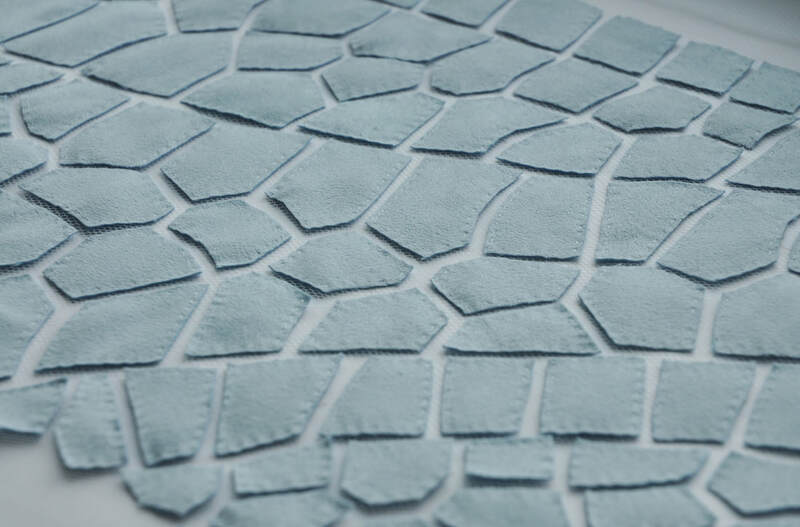 The fabric was hand dyed in three different honey tones and layered, then sections were cut away to reveal the different colours. 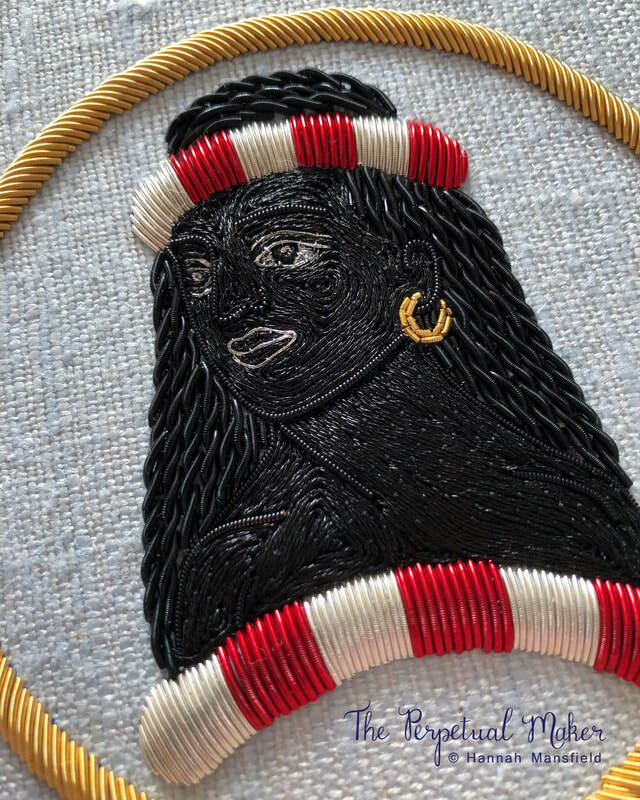 A wide brimmed hat is embroidered with a honeycomb pattern using gold work threads and beads and an eye mask (here worn as a choker) is embroidered with the same honeycomb pattern. 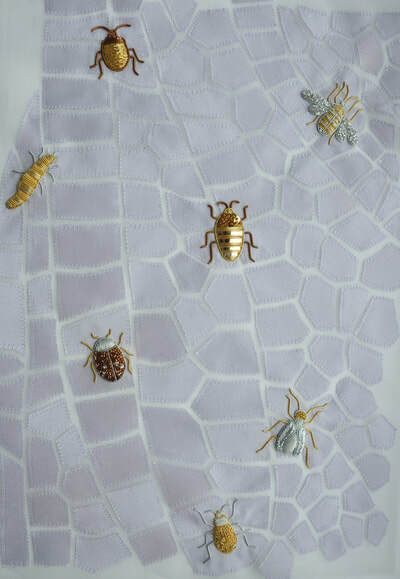 The first image in this gallery is from Hand & Lock’s photo shoot of the winning entries. Commissioned work for private clients. 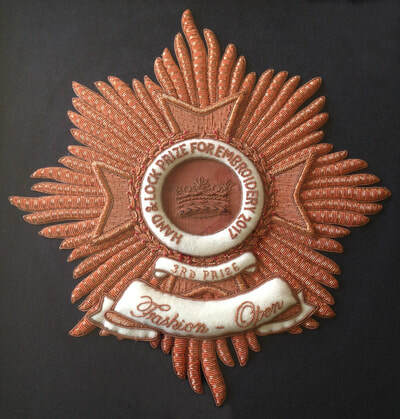 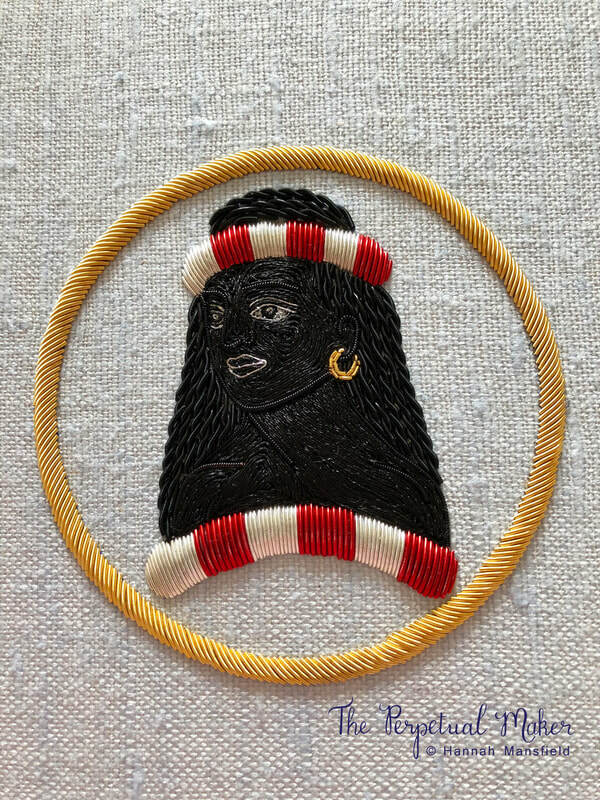 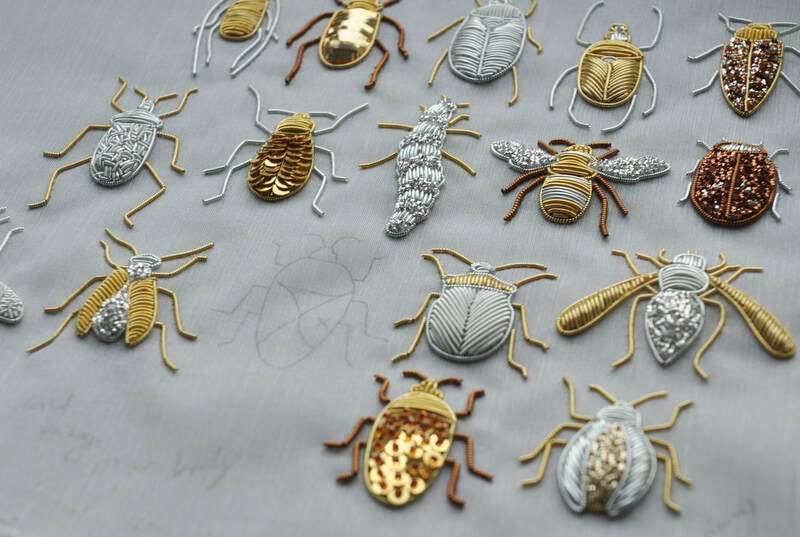 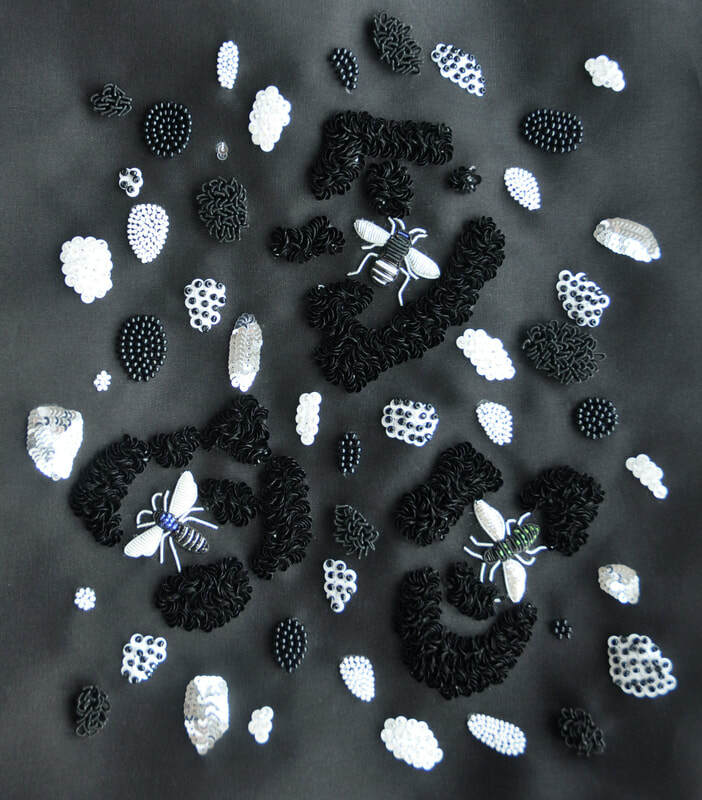 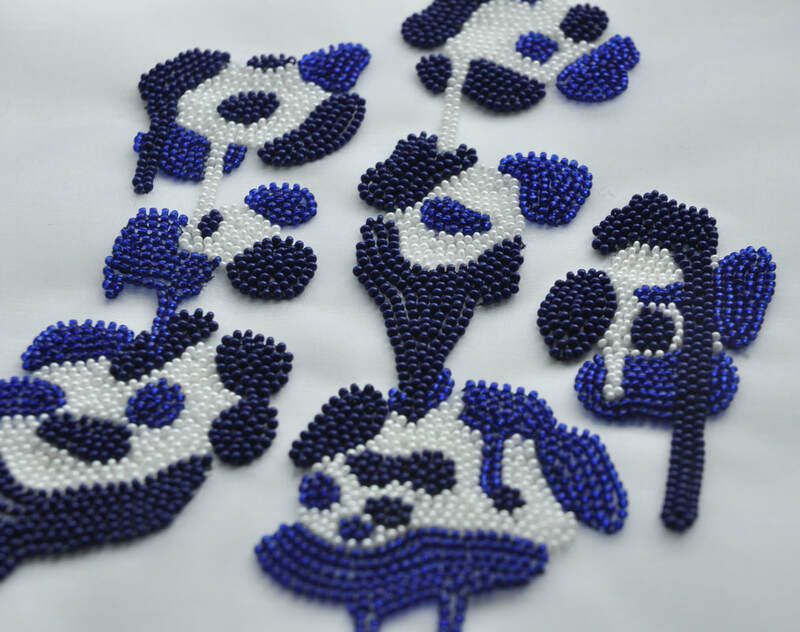 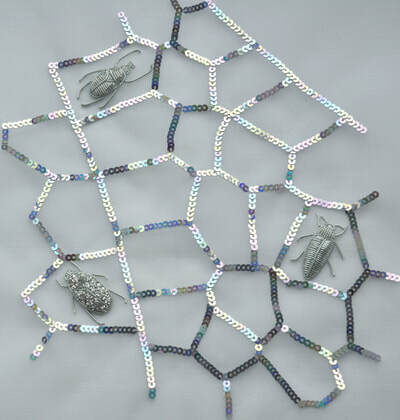 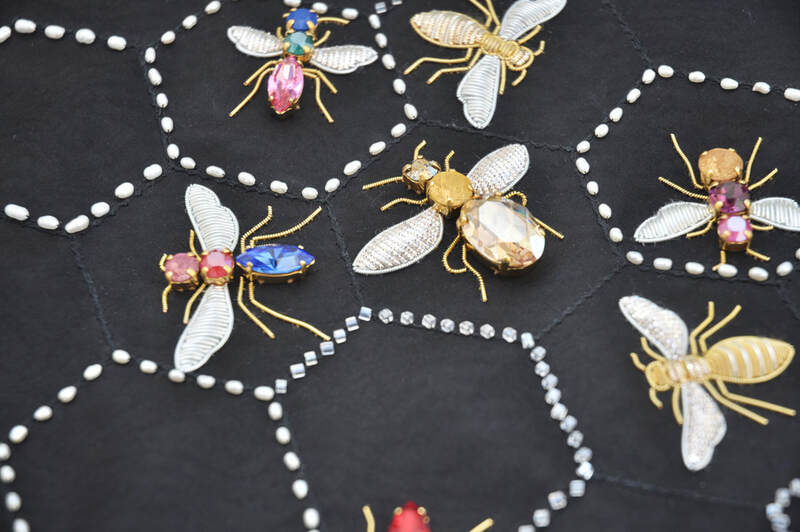 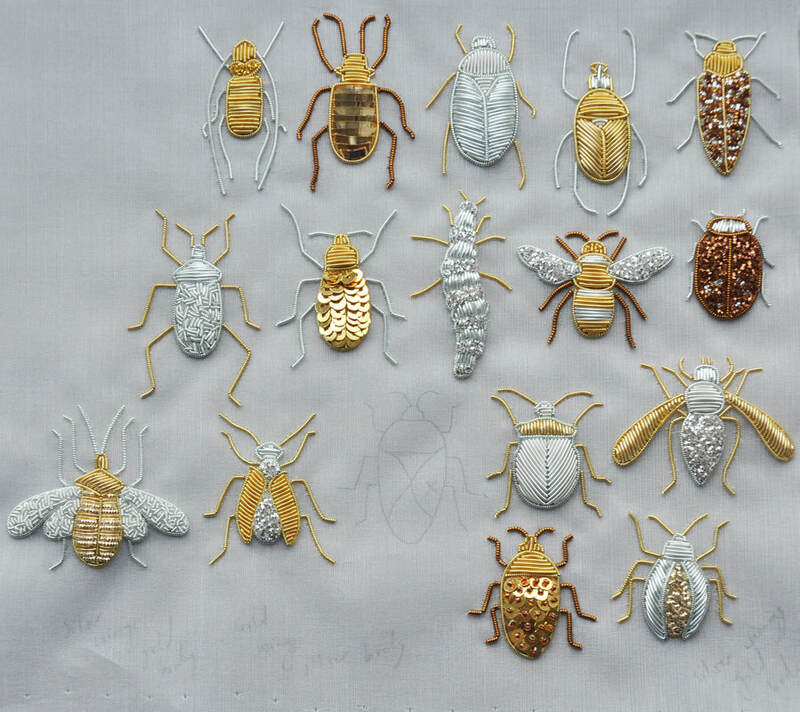 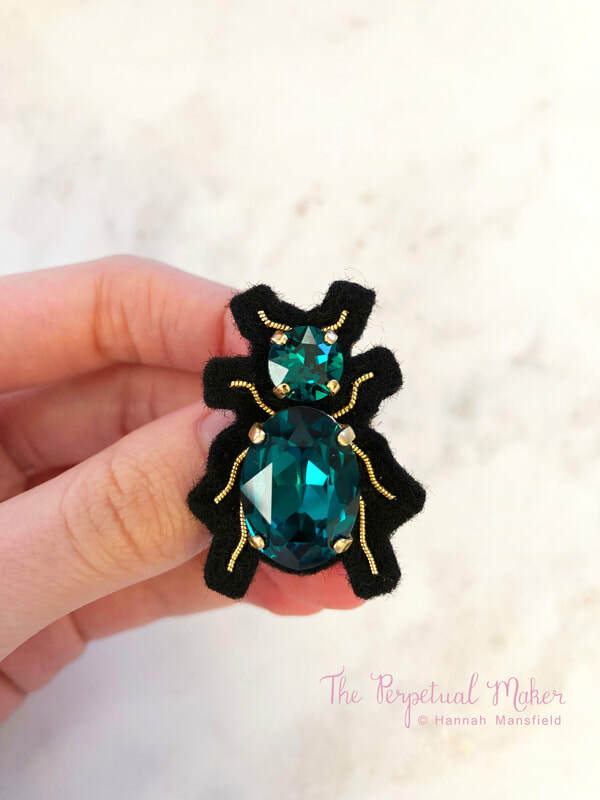 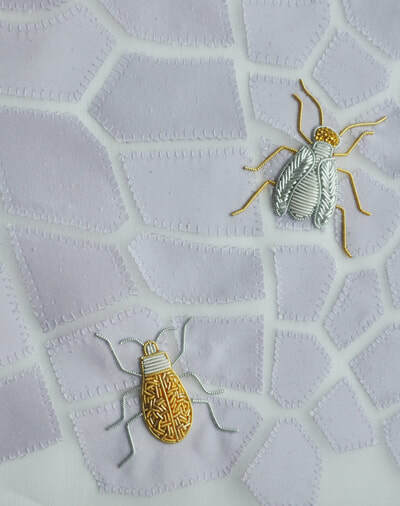 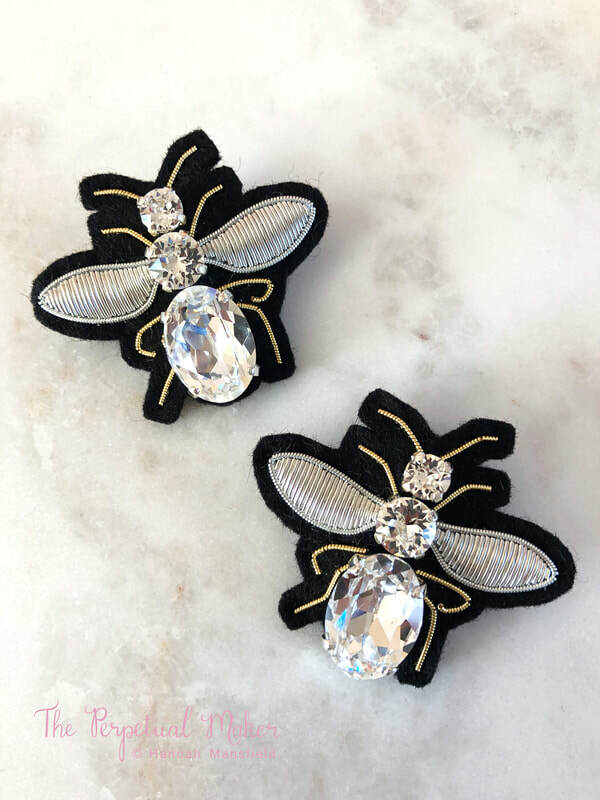 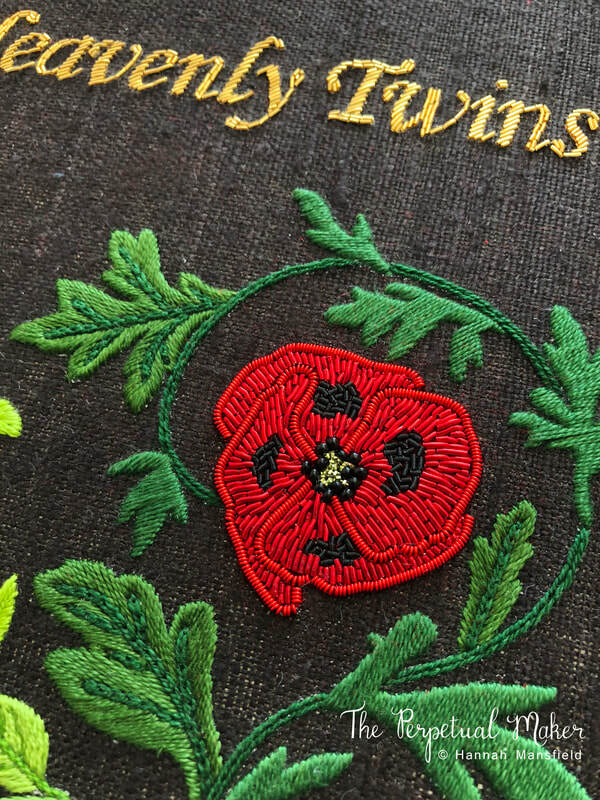 This has included larger pieces such as highly detailed embroidered for framing and smaller items such as custom made bee and insect brooches. 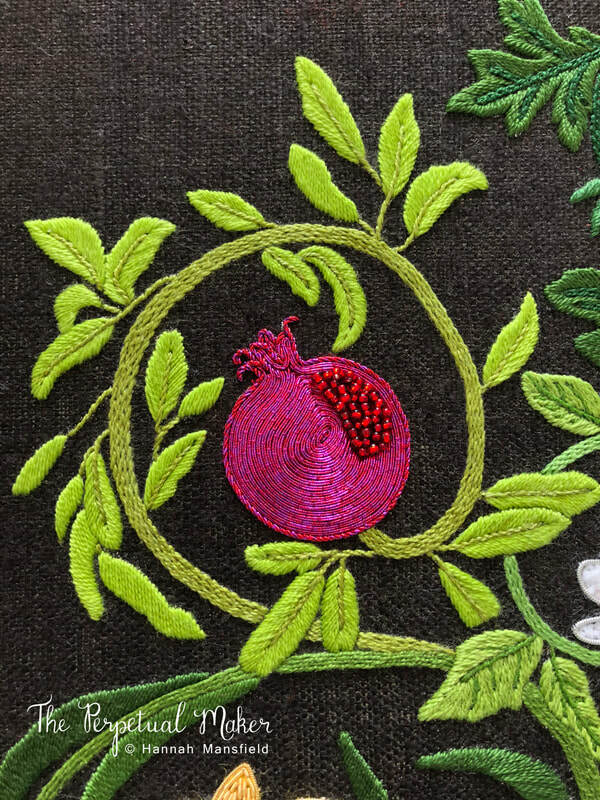 Hand embroidery for Joe Richards featured in his Autumn/Winter 16, Pre + Autumn/Winter 2017 and Autumn/Winter 2018 collections. 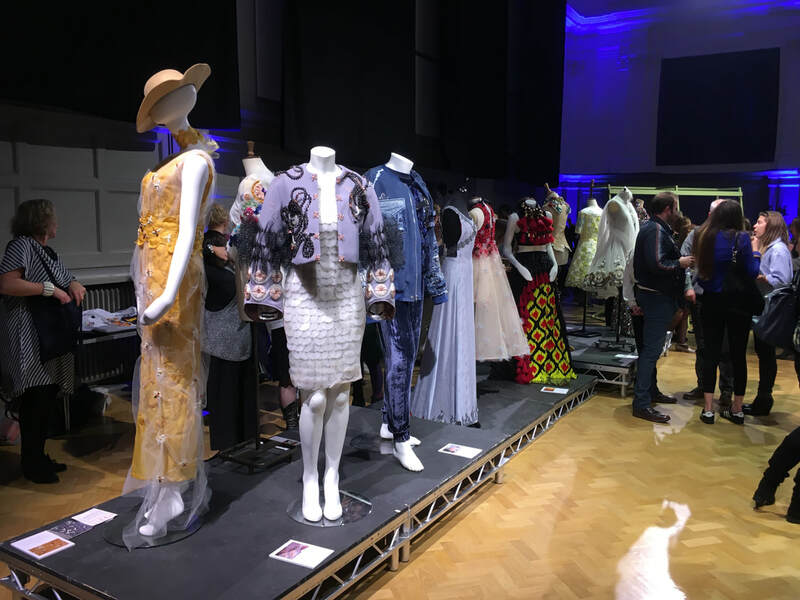 All hand embroidered knitwear pieces shown are from the Joe Richards + John Smedley collaboration which was part of the Pre + Autumn/ Winter 2017 collections.